Ask any reasonable citizen of the Middle Ages, and they’ll tell you that unicorns are extremely wild woodland creatures who can only be captured by virgins. That’s a lot of effort to go through for a cocktail party. 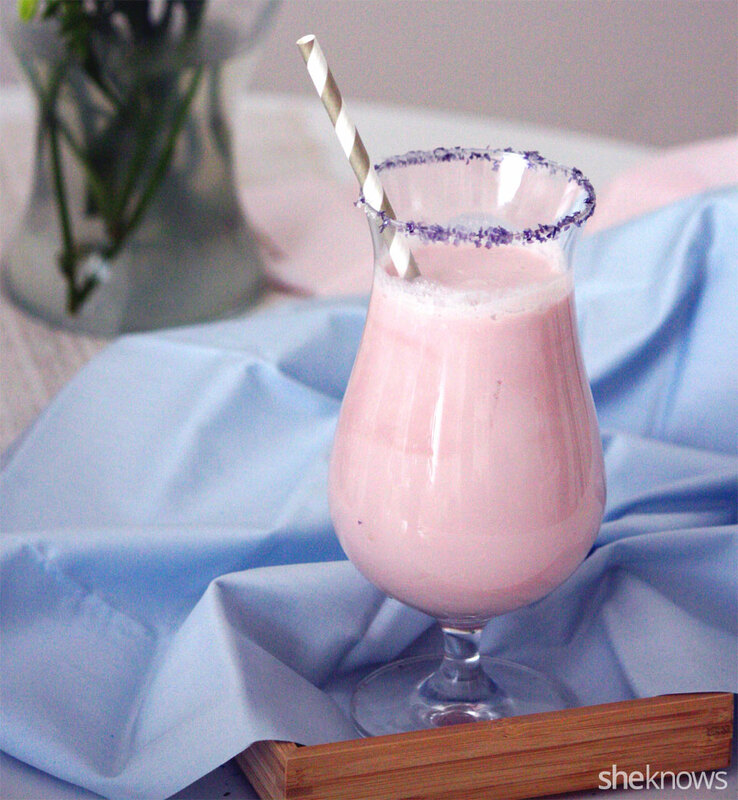 Then again, you could just cheat (a little) and make yourself unicorn-inspired cocktails instead. These have all the unicorn essence but none of the actual body parts. Making a magical horned horse weep is such a romantic, delicious notion, isn’t it? The pop of floral notes with a gin kick is how a unicorn’s tears probably taste. Squirt the glucose syrup onto a plate, turn a martini glass upside down, and dip it into the syrup so that the rim is well coated. 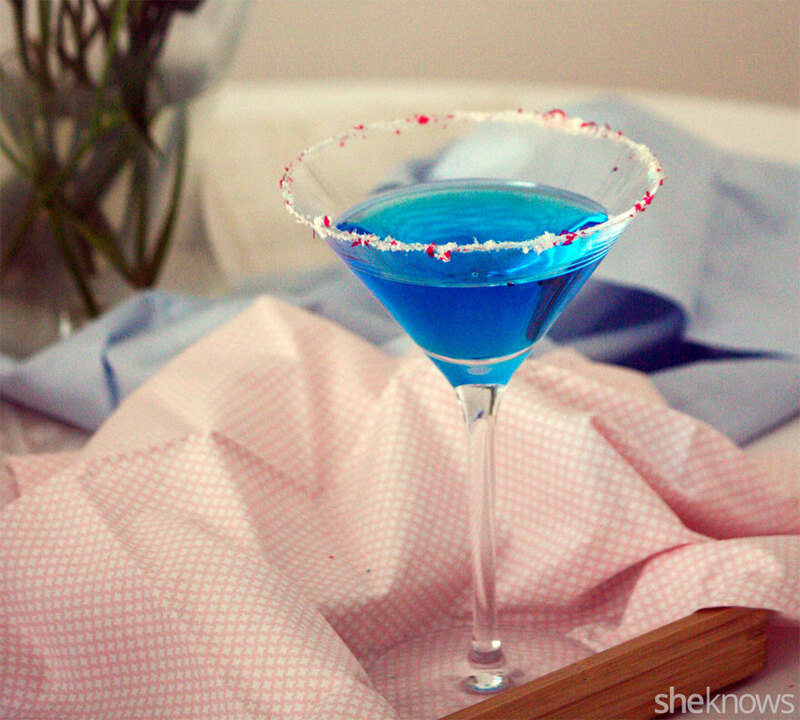 Sprinkle the edible glitter onto a plate, and dip the rim of the martini glass into it until it is coated. Carefully pour in the blue curaçao, making sure it does not touch the sides or rim. Next, with equal care, pour in the rose water, gin and vodka. Slowly and carefully top off the cocktail by pouring in the (chilled) lemonade. Stir and enjoy! Light, sweet and creamy with a cherry pop — that’s how unicorns give their kisses. If there’s just too much lactose in one of those, replace the cream with coconut cream; the unicorns won’t object. Squirt the glucose syrup onto a plate, turn a hurricane glass upside down, and dip it into the syrup so that the rim is well coated. 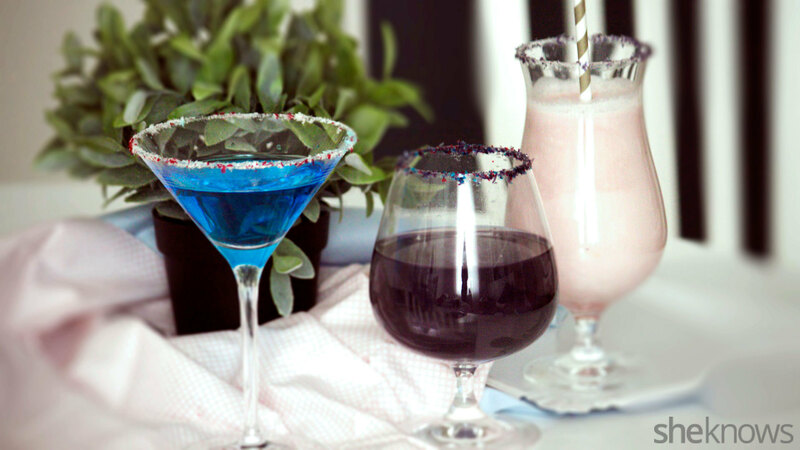 Sprinkle the edible glitter onto a plate, and dip the rim of the hurricane glass into it until it is coated. Pour all the ingredients into a cocktail shaker, and give it a light shake (just so that they combine — don’t get too violent). Careful to not destroy the rim, pour the cocktail into the hurricane glass, and enjoy. With all the virgins viciously hunting them down, the unicorns are out for revenge. Sweet, sweet revenge. Sweet, violet- and lychee-flavoured revenge. Squirt the glucose syrup onto a plate, turn a brandy glass upside down, and dip it into the syrup so that the rim is well coated. 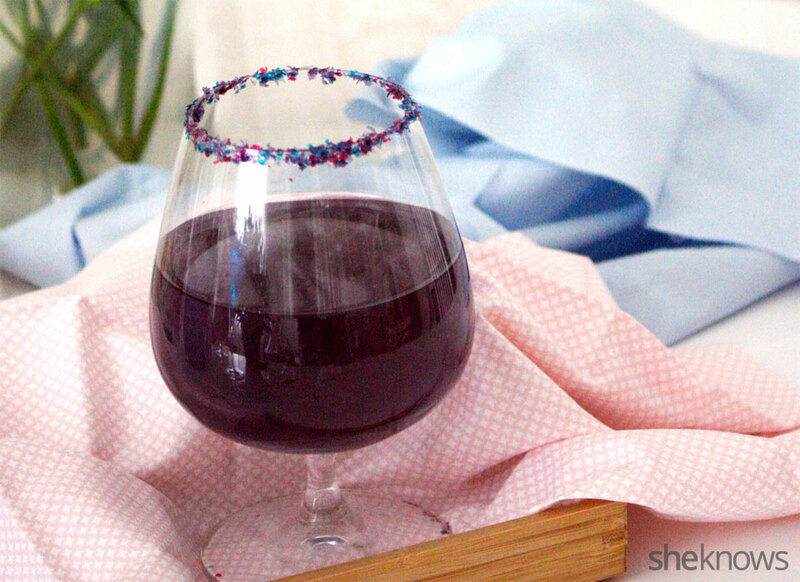 Sprinkle the edible glitter onto a plate, and dip the rim of the brandy glass into it until it is coated. Pour the violet flower syrup, gin, vermouth, lychee nectar and ice into a cocktail shaker, and give it a good shake. Careful to not destroy the rim, strain the cocktail into the brandy glass, top with sparkling mineral water, stir and enjoy!